The importance of international considerations in the US Federal Reserve System's deliberations has become more and more important over time as global financial crises and events create ever stronger repercussions in the US economy. This book critically evaluates the role of the Federal Reserve System as a player in the international monetary system over the past one hundred years, starting with its initial responsibility under the gold standard and looking ahead to the challenges it will face in the twenty-first century under the fiat standard. The book is based on a conference of the same name held at the Federal Reserve Bank of Dallas in September 2014, as part of the Federal Reserve System's centennial, and contributors include many of the most highly regarded financial historians and policymakers. Preface; Conference speaker bios; 1. Introduction Michael Bordo and Mark Wynne; 2. Doctrinal determinants, domestic and international, of Federal Reserve policy 1914-33 Barry Eichengreen; Comments on Eichengreen Harold James; 3. Navigating constraints: the evolution of Federal Reserve monetary policy, 1935-59 Mark Carlson and David Wheelock; Comments on Carlson and Wheelock Gary Richardson; 4. Federal Reserve policy and Bretton Woods Michael Bordo and Owen Humpage; Comments on Bordo and Humpage James Boughton; 5. The Federal Reserve engages the world (1970-2000): an insider's narrative of the transition to managed floating and financial turbulence Edwin M. Truman; Comments on Truman Michael Dooley; 6. The Federal Reserve in a globalized world economy John Taylor; Comments on Taylor Richard Clarida; 7. Unprecedented actions: the Federal Reserve's response to the global financial crisis in historical perspective Frederic S. Mishkin and Eugene White; Comments on Mishkin and White Steven Kamin; 8. Panel discussion on the Federal Reserve's role in international financial crises featuring remarks by Donald Kohn, Charles Bean, Guillermo Ortiz and Stephen Cecchetti; 9. The Robert V. Roosa Lecture: excerpts from a conversation between Richard Fisher and Paul Volcker Richard Fisher and Paul Volcker. 'This impressive volume brings together many of the leading lights of monetary history to consider the Fed's shifting role in the global monetary system and its implications. It is required reading for anyone with an interest in macroeconomics, international economics, or the financial aspects of international relations.' Charles Calomiris, Henry Kaufman Professor of Financial Institutions, Columbia University 'As cross-border financial flows have greatly grown, countries around the world have become increasingly aware of the influence of US monetary policy on their economies. The Federal Reserve Bank of Dallas has performed a signal service by convening a symposium of knowledgeable specialists to present the evolution and implications of the foreign impacts of the Fed's actions, and their influence on Fed decision-making. An outstanding and timely volume.' Richard N. Cooper, Harvard University, Massachusetts 'This collection contains a splendid mix of academic and policymaker perspectives on the international role of the Federal Reserve. It will be a valuable resource for anyone interested in the global dimensions of the Fed and US monetary policy over the past century.' Douglas Irwin, Dartmouth College, New Hampshire 'The many papers in this volume celebrate the 100th anniversary of the Federal Reserve System by recounting vignettes from its history. An advantage of the volume is that it brings many perspectives through the papers and discussants. It should become the starting point for deeper research into several of the issues. I recommend it to students and the many professionals who follow the Fed and try to understand it.' Allan Meltzer, Carnegie Mellon Tepper School of Business "This impressive volume brings together many of the leading lights of monetary history to consider the Fed's shifting role in the global monetary system and its implications. It is required reading for anyone with an interest in macroeconomics, international economics, or the financial aspects of international relations." Charles Calomiris, Henry Kaufman Professor of Financial Institutions, Columbia University "As cross-border financial flows have greatly grown, countries around the world have become increasingly aware of the influence of US monetary policy on their economies. The Federal Reserve Bank of Dallas has performed a signal service by convening a symposium of knowledgeable specialists to present the evolution and implications of the foreign impacts of the Fed's actions, and their influence on Fed decision-making. An outstanding and timely volume." Richard N. Cooper, Harvard University, Massachusetts "This collection contains a splendid mix of academic and policymaker perspectives on the international role of the Federal Reserve. It will be a valuable resource for anyone interested in the global dimensions of the Fed and US monetary policy over the past century." Douglas Irwin, Dartmouth College, New Hampshire "The many papers in this volume celebrate the 100th anniversary of the Federal Reserve System by recounting vignettes from its history. An advantage of the volume is that it brings many perspectives through the papers and discussants. It should become the starting point for deeper research into several of the issues. I recommend it to students and the many professionals who follow the Fed and try to understand it." 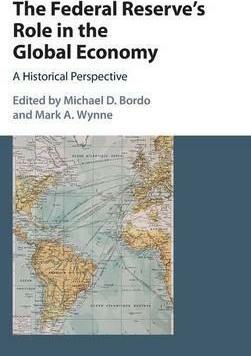 Michael D. Bordo is Board of Governors Professor of Economics at Rutgers University, New Jersey. He is also a research Associate of the NBER and Distinguished Visiting Fellow at the Hoover Institution, Stanford University. He has published widely on monetary economics and economic history with 15 books and over 200 journal articles and chapter contributions. Mark A. Wynne is a Vice President at the Federal Reserve Bank of Dallas, Associate Director of Research for International Economics, and the founding director of the Bank's Globalization and Monetary Policy Institute. In the latter role, Wynne is responsible for developing and leading the Bank's research program on globalization and understanding its implications for the conduct of US monetary policy. Most of his professional career has been spent at the Federal Reserve Bank of Dallas, but he also worked on issues related to the strategy of monetary policy at the European Monetary Institute and European Central Bank during the formative years of European Economic and Monetary Union. He has also been an occasional consultant to the ECB and International Monetary Fund.